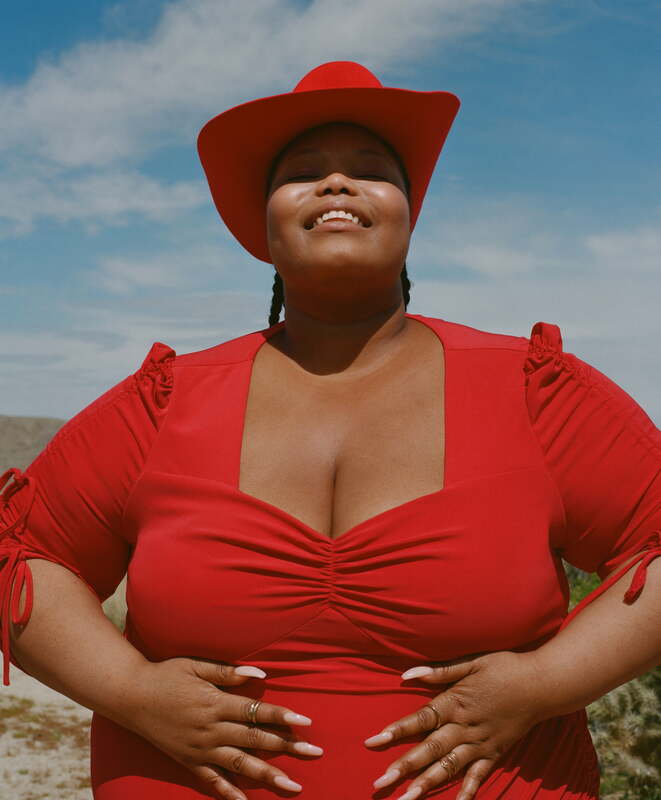 Innovative plus-size brand Universal Standard has teamed up with American high-fashion powerhouse Rodarte to bring us a capsule collection of structured yet feminine pieces. Considering that the luxury fashion industry has historically excluded plus-size women—Leslie Jones spoke out on Twitter when designers wouldn’t dress her for the Ghostbusters premiere, and the late Karl Lagerfeld called Adele “a little too fat”—Rodarte’s collaborative approach to plus-size fashion is refreshing. While incorporating Rodarte’s signature dramatic flair of its dresses through ruffles and delicate layers of sheer fabrics, Universal Standard upholds the structure and fit that is often missing from plus-size clothing options. It’s a match made in heaven. Models Tess McMillan and Enam Siama give us Thelma and Louise realness in the Californian campaign, likely an homage to Rodarte’s feminine Americana aesthetic. Highlights of the lookbook include a tailored jumpsuit with ruffled neckline and wrist cuffs, available in either red or black. The smoking pant at the bottom serves utilitarian chic with a free-flowing party on top. An ultra-feminine dress with a sweetheart neckline, ruched sleeves and a flowy hem cut on a bias edge may sound extra, but Universal Standard’s execution of the look strikes the right balance between frilly and boss-lady. Even the flirty separates feature celebratory ruffles that give Gone With The Wind vibes. 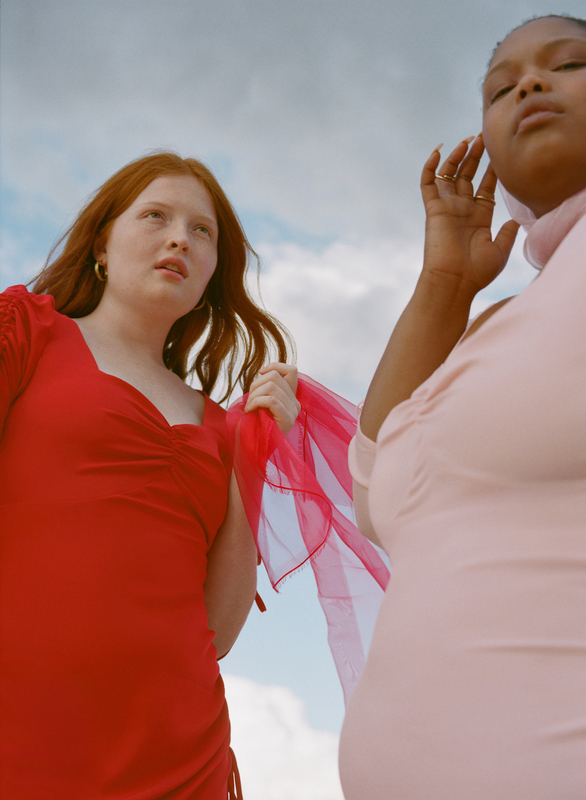 The pieces in the collection range from $150 to 240—a decent investment for plus-size women who love fashion but don’t have access to Rodarte’s $4,000-and-upwards gowns. This collection follows the footsteps of mid-priced, high-quality options for plus-size women, like Jason Wu x Eloquii, as an alternative to cheap, easily destroyed fast fashion pieces that are abundant in the market. That this collection exists only proves what we’ve always known to be true: plus-size bodies are worthy and completely capable of slaying high-fashion designer looks, regardless of size. Shop our favorite looks below. The collection is available at UniversalStandard.com and at the Universal Standard New York City Soho pop-up at 65 Greene St.